The local online drama ‘On Your Side-the Series,’ produced by Mind Media celebrated after the show’s episodes reached 1 million views through social media last week. 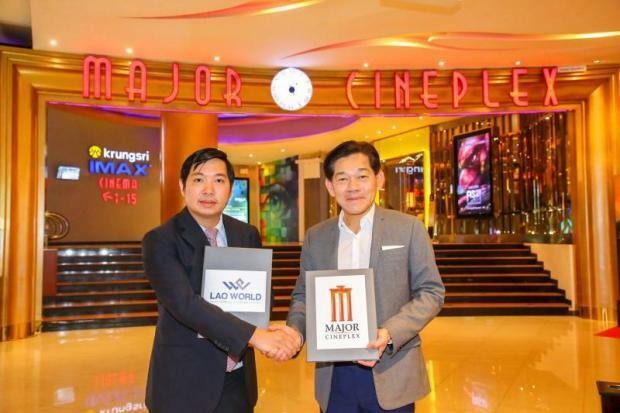 Less than one week, after months of rumours, on August 6, 2015, the Major Platinum Cineplex Theater finally opened its doors to the public at Vientiane Center. I was very excited to see how the whole experience would compare. Nonetheless, I set my expectations low. After all, Vientiane is already equipped with two …. A boy who is believed to bring bad luck to everyone around him leads his family and two new friends through Laos to find a new home. After a calamity-filled journey through a land scarred by the legacy of war, to prove he’s not bad luck he builds a giant rocket to enter the most exciting and dangerous competition of the year: the Rocket Festival. Australia has submitted The Rocket as its official entry in the Best Foreign Language Film category for the Oscars. The recognition for the Australian film The Rocket keeps coming as the low-budget drama set in Laos has become Australia’s official selection for the best foreign-language Oscar next year. After winning awards at two major international festivals then the audience prize at ….